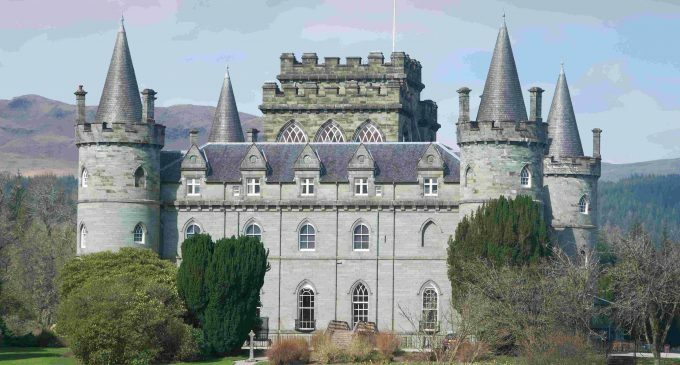 Quality Equipment Distributors (QED), the Glasgow-based designer and supplier of modular bar, coffee shop and foodservice equipment, has celebrated the reopening of the tearoom at Inveraray Castle following an extensive refurbishment. Featuring a complete coffee shop display system, the new tearoom will feed many of the 75,000 annual visitors to the castle. Having taken the decision to refurbish the facility prior to the current season with a completely new design and layout, management opted for a new modular scheme from QED. ‘As a five-star visitor attraction, we needed fixtures and fittings that were worthy of our location,’ explains estate factor, Andrew Montgomery. Having thoroughly researched the company’s foodservice equipment range, Andrew and his team selected the Decoration L design from the QED Continental Coffee Shop system, which includes chilled serve-over and ambient servery counters, mirrored back-bar shelving, and stainless steel refrigerated storage units. ’We are delighted with the quality of the final result, and are looking forward to a busy season in 2015,’ he concludes. Quality Equipment Distributors offers a large selection of contemporary and classic module styles for all sizes and types of catering and retail environments. Visit www.qualityequipment.co.uk or call 0141 779 9503 to find out how QED can help your business to redefine itself in the forthcoming Year of Food and Drink.